GrumpysPerformance.com • View topic - buggered phillips screws? Lesser known is the Japanese Industrial Standard (AKA JIS). Bottom-line, a standard Phillips driver will not go into a JIS screw all the way because the corner radius of the screw is smaller than that of a standard Phillips driver. Because of this, it leads to what is referred to as "cam-out". In fact, the standard Phillips was created to allow this, so that you know when max torque has been reached, avoiding over tightening or worse, snapping fasteners. 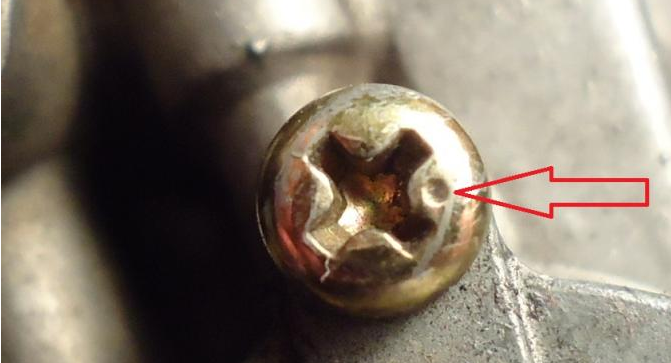 Oddly enough, the Phillips standard was created to allow this condition so that you knew you had reaced maximum torque! 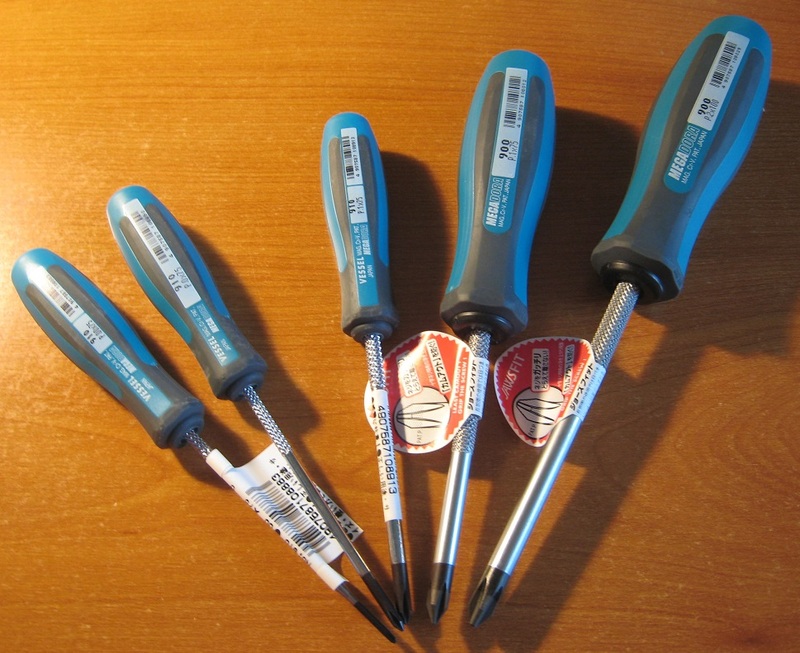 We carry two major brands of JIS Screwdrivers in a variety of formats. Moody Tools, Inc. is Made in Rhode Island. Vessel Tools are made in Japan. We have Moody Tools and Vessel listed separately as well, but this section just concentrates on JIS.. 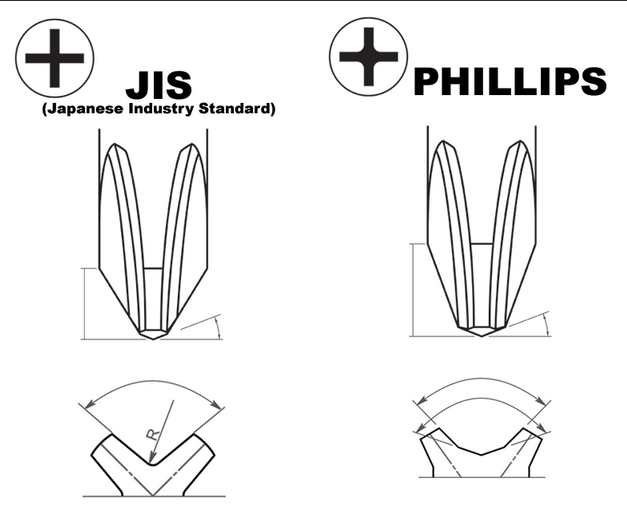 The differences between Phillips and JIS are not easily seen, so this illustration should help. Sometimes screws will be identified as being JIS if there is a dimple or dot on its head. But, this isn't always the case. But chances are, if you're working on a Japanese machine, the Philips head screws will be JIS. JIS screw drivers are not hard to find, ranging in price from the mid to high $20.00 for the budget stuff, on up to 3x (or more) that for the good stuff. Good tools, if taken care of can last a lifetime and the right tool for the job saves time and money in the long run. Oh Hell yeah! I was completely unaware of that one.